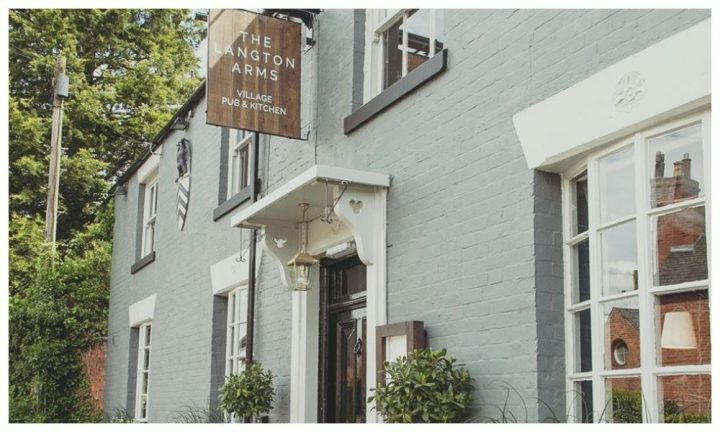 Best-selling crime writer Sharon Bolton turns her forensic eye to this stylish, family-friendly pub in Bicester. 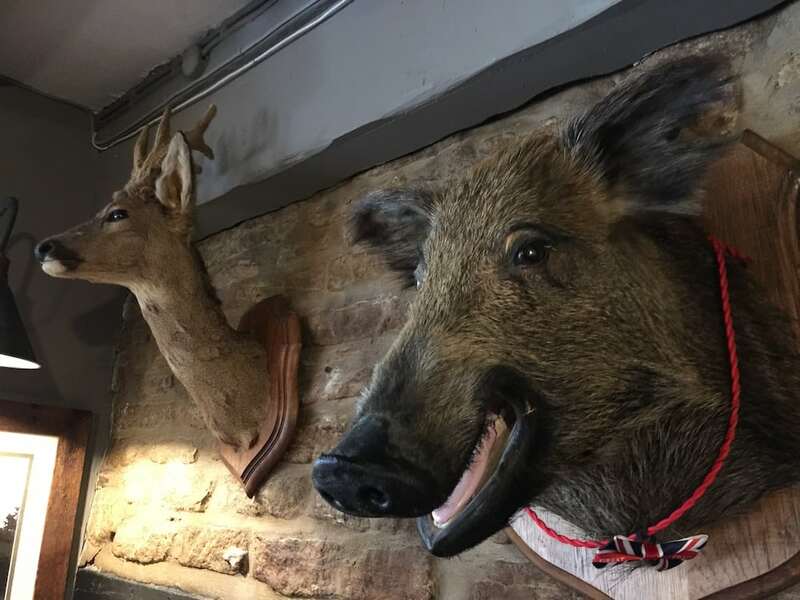 Best-selling crime writer Sharon Bolton turns her forensic eye to Jacob’s Plough in Bicester, the latest outpost of the groovy Jacob’s groups of boutique pubs. Bicester has become synonymous with the retail leviathan that is Bicester Village and if you’re not a shopper (I’m really not) it might be a town you prefer to avoid. And that’s a shame, because Bicester itself – long been derided as having no heart or buzz (having had both sucked out by designer outlets) seems to be on the up. Its new bar, Thirteen, just won the Bucks/Oxon Muddy Award for Best Bar 2018 and there’s a cool co-working space opened there too. Bicester is also the home of Jacob’s Plough, one of the nicest pub restaurants I’ve discovered in a while. 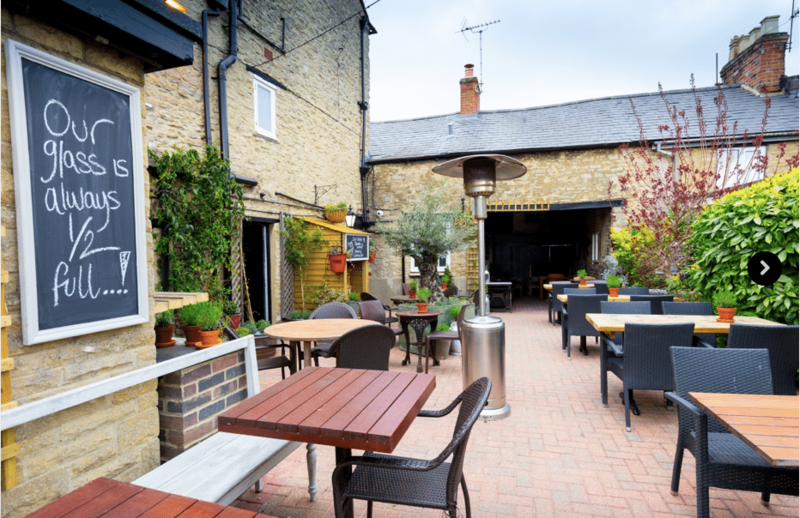 Easy to find on North Street in the town centre, not far from Bicester North and Bicester Village train stations, Jacob’s Plough has its own car park, accessed via the B4100. If you’re meeting friends, Bicester is close to J9 of the M40. The owners, Johnny and Damien, who met years ago when they were chef and front of house manager, now own a boutique chain of five Oxfordshire-based ‘Jacob’ venues. 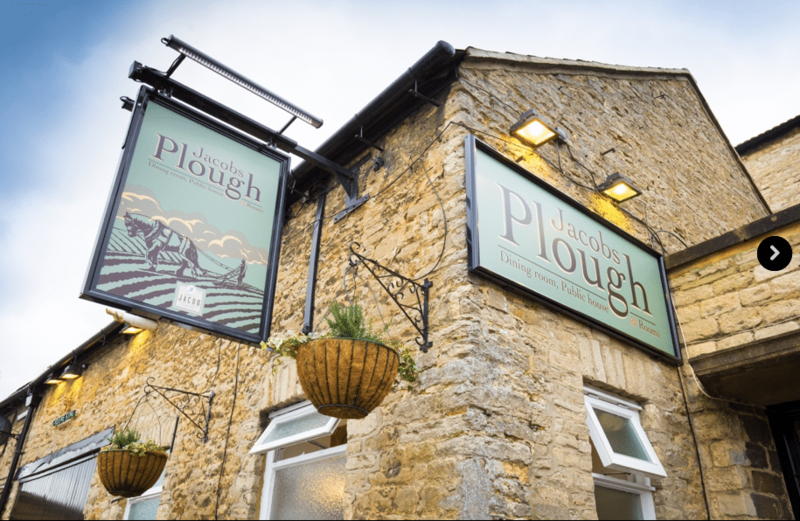 Jacob’s Plough is one of the newest. Gentlemen’s club meets American diner with a Mediterranean-style outdoor courtyard. If this sounds eclectic, it is – but it works, with a friendly, quirky ambience. The restaurant is both spacious and contemporary, but if the sun is shining you might prefer to do as we did and sit outside. (The courtyard has 70 covers). 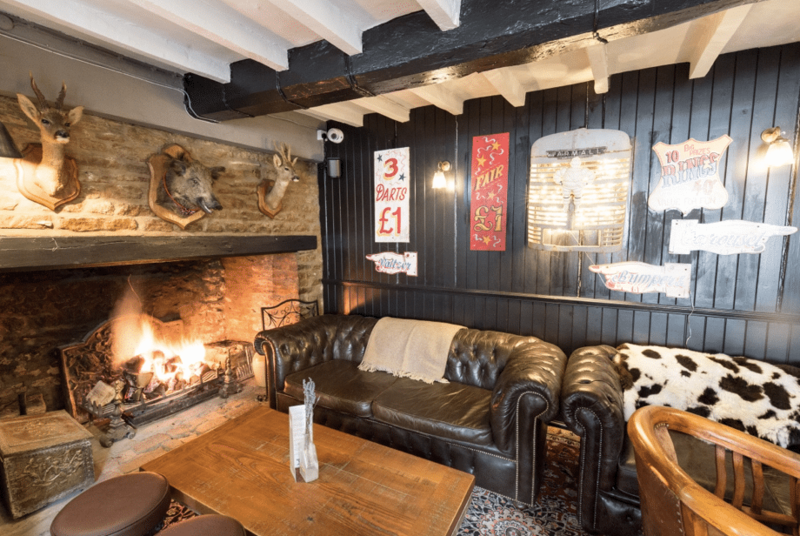 When the cooler months roll around the real fire in the cosy main bar should prove a popular draw, and there’s plenty of space to prevent drinkers getting in the way of diners. Unlike many traditional-pubs-turned-restaurants, no one popping in for a quick snifter need feel unwelcome. 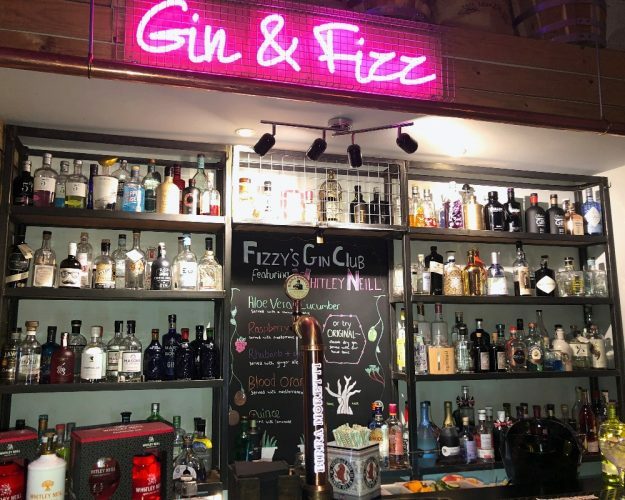 General manager Duncan trained at TGI Fridays and it shows – in a good way – in the pub’s emphasis on friendly service and lively buzz in the evenings. 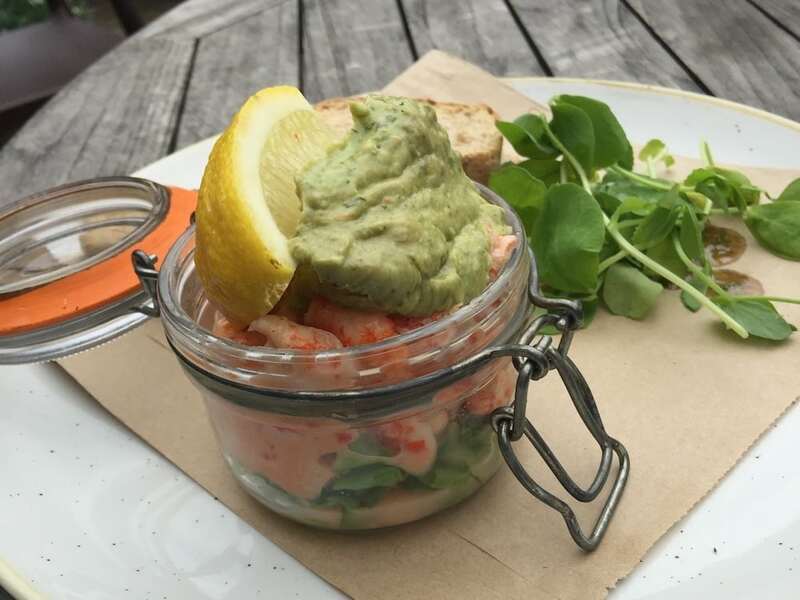 Jacob’s Plough has a rolling programme of events, including live music and foody specials, but the place is big enough for no one to feel press-ganged into a theme night if what they really wanted was a romantic dinner for two. The pub is dog friendly, everywhere but the restaurant, and had Lupe the Lurcher and Queenie the Staffie accompanied us, they’d have made short work of the giant jar of dog treats on the bar. 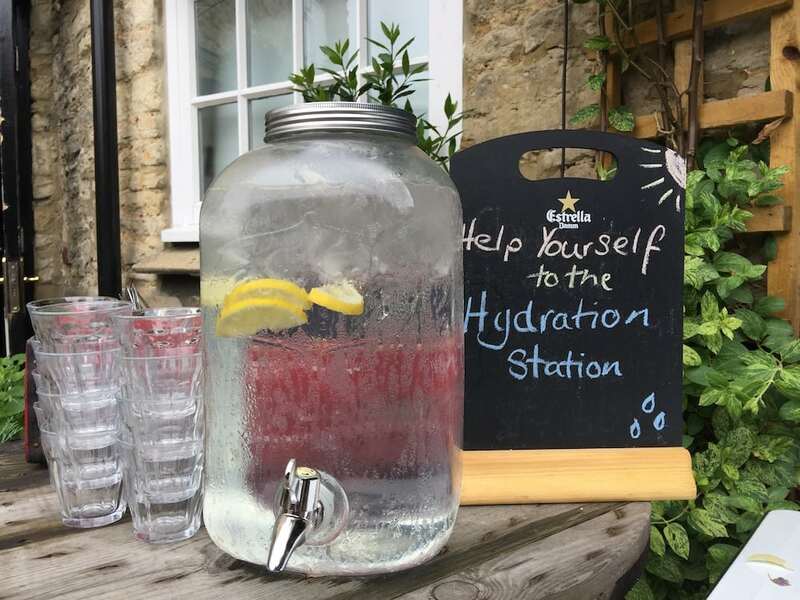 Had it not been lunchtime, I might have done the same with the ‘bottomless Prosecco!’ I was particularly taken with the ‘hydration station’ in the courtyard, saving the hassle of continually begging busy waiting staff to bring tap water. 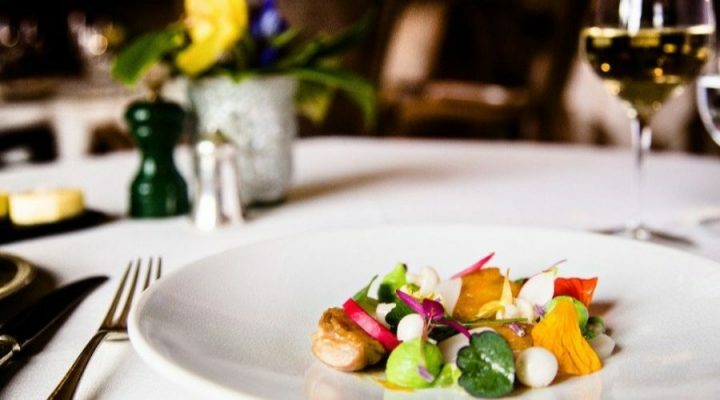 An emphasis on traditionally cooked food from locally sourced produce, including award winning Aubrey Allen meat. There is a set lunch, a children’s menu and a Sunday lunch menu, with the main menu being updated regularly. On offer, we found a lot of pub classics, such as Mackerel Pate, Crab Cakes, and Caesar salad and the odd more adventurous dish like Tamworth Pork Rib Eye and Pearl Barley & Pumpkin salad. The food isn’t fancy, but it’s of good quality, well cooked and nicely presented. I started with the Crayfish Cocktail, which was good, (if a bit vinegary) followed by a superb Summer Vegetable Risotto with Poached Duck Egg. 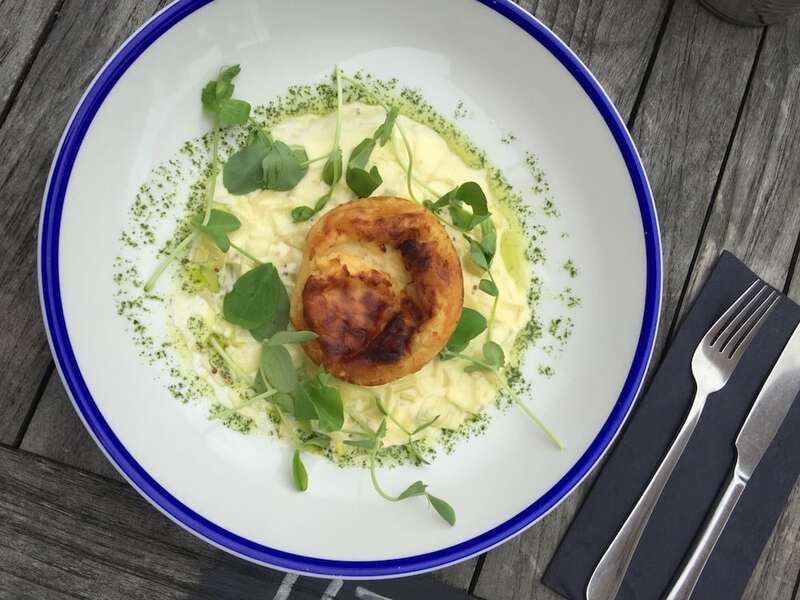 My friend had the Twice Baked Wookey Hole Soufflé (below) followed by the Crayfish and Clam Papparpelle, both of which were excellent. Portions were generous and neither of us quite finished our mains. Puddings proved beyond us, but had we been made of sterner stuff, the cheese tasting plate did look rather special. The wine list was comprehensive, from around £18 a bottle upwards, although given the restaurant’s emphasis on local produce I was a bit disappointed not to see any wines from Oxfordshire, or even English vineyards. The spirits menu was unusually extensive and impressive. 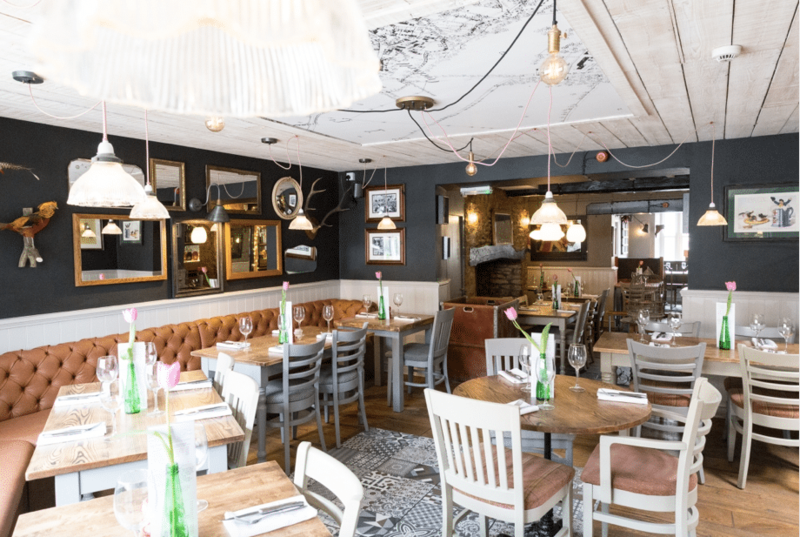 Jacob’s Plough runs a day out to Newbury Races, starting with brunch in the pub, and is handy for anyone needing to recharge their batteries after a morning in Bicester Village. The pub has three en suite rooms so could easily be a base for exploring Oxford and the eastern edge of the Cotswolds. 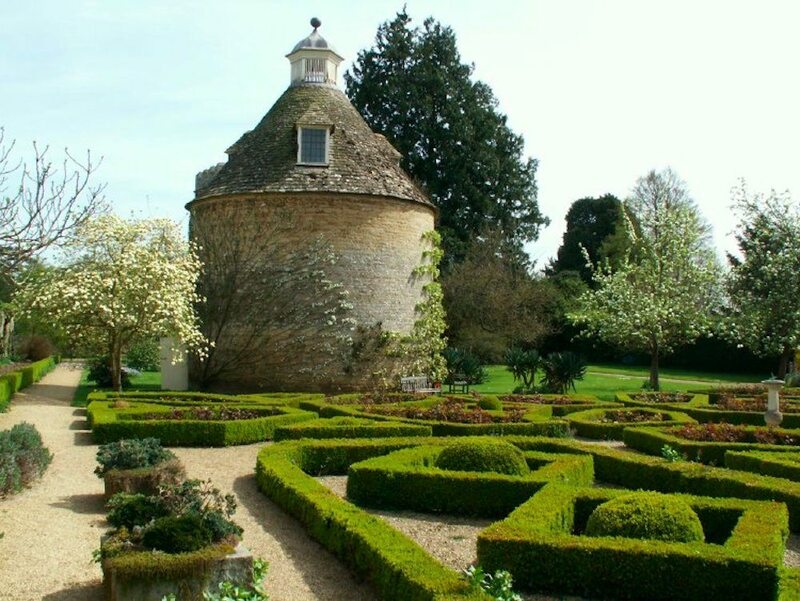 Woodstock, Rousham House & Gardens and Waddesdon Manor are all within reach. Good for: Business and post shopping lunches, dinner with friends or for special occasions, the odd lively night out. Not for: This is an old country pub. Disabled access is a little tricky, especially in the three bedrooms, but not impossible. Also, whilst there is a Children’s Menu, at £8.50, and whilst the pub offers high chairs, this didn’t strike me as the first place I’d come with a lot of young children. 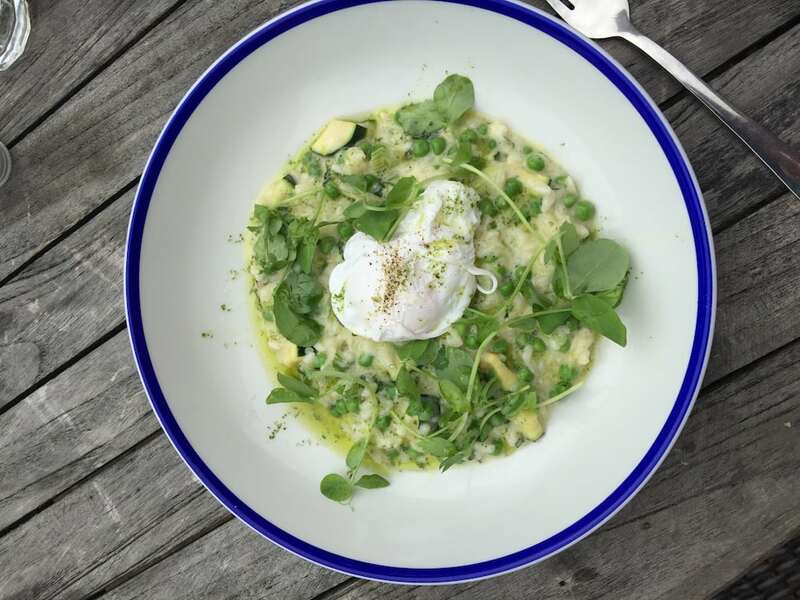 ££: Starters are all around £7 with mains ranging from £14 for an excellent vegetarian risotto to £26 for the Aubrey Allen rib eye steak. Puddings cost £6.50 and whilst the tasting cheese plate looks pricey at £15 this would be an excellent sharing dish. The set lunch is good value at £15 for two courses and £18 for three. Jacob’s Plough, 63 North Street, Bicester OX26 6NB. Tel: 01869 388101.